DANDALUP CASPER (Cosmic Rumble- Misty Peal) was most impressive on debut scoring by 7 3/4 lengths after being moderately away. 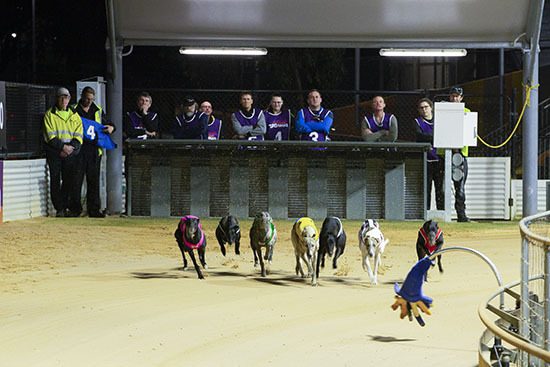 The white and blue dog burst through a small gap going past the judge the first time before racing clear of his rivals stopping the clock at 30.23. COSMIC OX (Fabregas- Cosmic Sapphire) returned from injury and into the winners list with a strong win over King Tony in 21.96. The Jamie Marsh trained dog has now won 6 times from 10 career starts and has a PB of 21.52 over the 380 metres. It was the black dogs first run since early September. SNALLYGASTER (Fernando Bale- Orthia Bale) found the front from box 4 and led throughout over the 520 metres scoring by 6 1/2 lengths over Go Get Fancy in a PB 30.06. The Enzo Crudeli trained dog has now won twice from his past 4 starts. 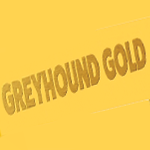 20181114 Greyhound Gold from Greyhounds WA on Vimeo.